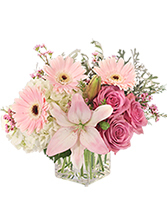 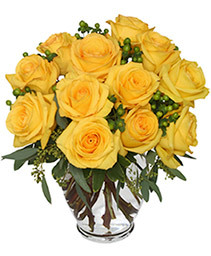 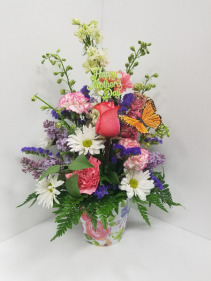 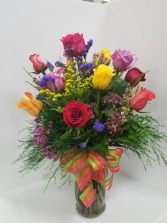 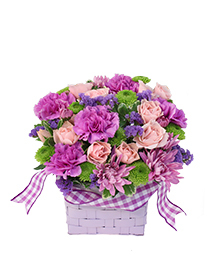 A fresh arrangement of mixed flowers with fresh lilacs(when in season), a rose and a butterfly. 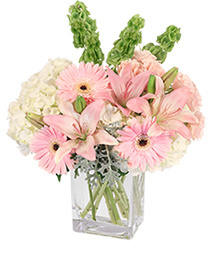 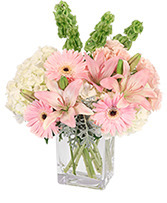 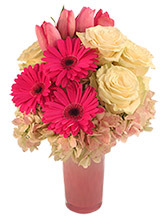 This bouquet is designed in one of two styles of an acrylic butterfly/floral print container. 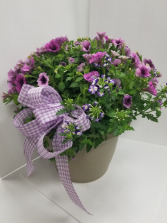 We have an ever-changing assortment of patio planters, hen and chick containers, hanging baskets and blooming plants. 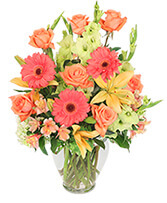 Please call to discuss availability as the one pictured might no longer be available.